Pretty impressive stealth ferry to be able to sneak up like that. Indeed, though shifting the termini from Stranraer to Cairnryan and from Belfast to the arse end of nowhere have helped a lot. 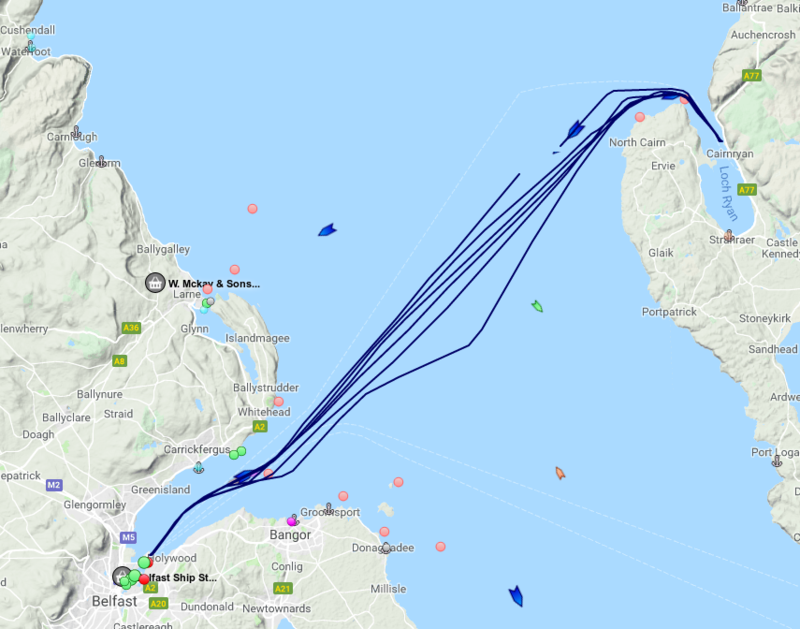 After two fishing boats were swamped and the occupants drowned in Loch Ryan, the high speed things were restricted to 10kt (I think) there, which added a lot of time. As did the "Dead Slow" crawl up Belfast docks. Nah, it just shows that RN lookout is on a level with their navigation skills. were the Germans wrong in law? I'd be interested in the answer to that question. On the one had a merchant ship defending itself from a vessel trying to capture it seems perfectly reasonable on the other hand I would fully expect a civilian attacking a ship in port to be prosecuted. Anyone know what the law actually states? The execution by shooting of Captain Charles Fryatt, which was given by the Court Martial Bruges, due to the sentence of the court martial proceedings on 27 July 1916, contains no violation of international law, The Commission apologizes most vividly for the hurry in which the judgement was enforced. The Commission's ruling was not unanimous. Two members of the legal review panel, Eduard Bernstein and Oskar Cohn, dissented because in their opinion Fryatt's sentence had been a severe infringement of international law. Last edited by Mark-1; 24-01-19 at 11:59. Why do you say that? Presumably they saw each other as no collision occurred.